Two former stars of Channel 4 soap Hollyoaks have hit the big time by winning an Oscar last night! Rachel Shenton is perhaps best known for playing wannabe WAG Mitzeee Minniver in Hollyoaks from 2010 to 2013. Meanwhile, her partner Chris Overton played ex-footballer turned cage fighter Liam McAllister in the soap. The pair triumphed in the 'Best Live Action Short Film' category for their movie The Silent Child. The film tells the story of a four-year-old girl named Libby, played by Maisie Sly, who is deaf. The girl learns how to communicate through sign language with the help of a social worker, played by Rachel. 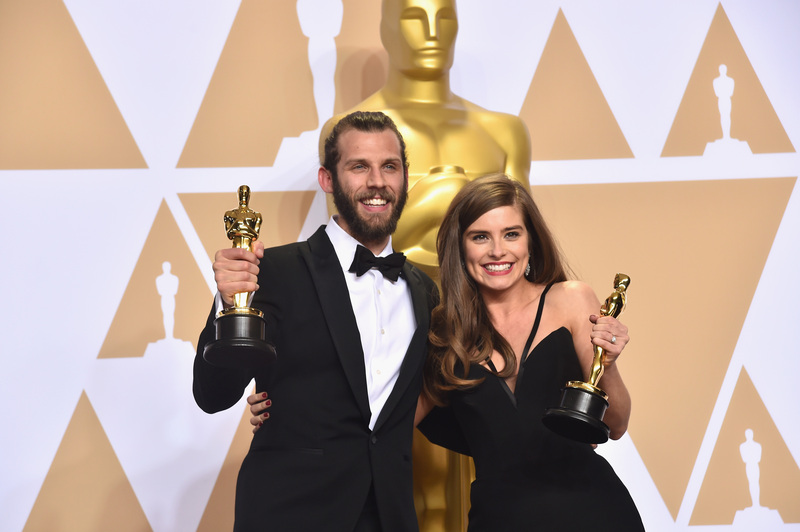 As the pair took to the stage at the Dolby Theatre, the Stoke-on-Trent actress used sign language, as she delivered her acceptance speech. "I made a promise to our six-year-old lead actress that I'd sign this speech," Rachel said. She added: "Our movie is about a deaf child being born into a world of silence. It's not exaggerated or sensationalised for the movie, this is happening, millions of children all over the world live in silence and face communication barriers and particularly access to education." Backstage, she added: "I'm so, so proud of putting this ability that isn't talked about in front of a huge audience - it's a story that isn't told often so I'm really, really proud of that." Chris said: "It's just incredible, especially for this subject it usually gets swept under the carpet, so this is huge for deaf people."